This week, I’ve admittedly been at a loss for words. I think that I could have said most everything that I needed to say with cupcakes, though. 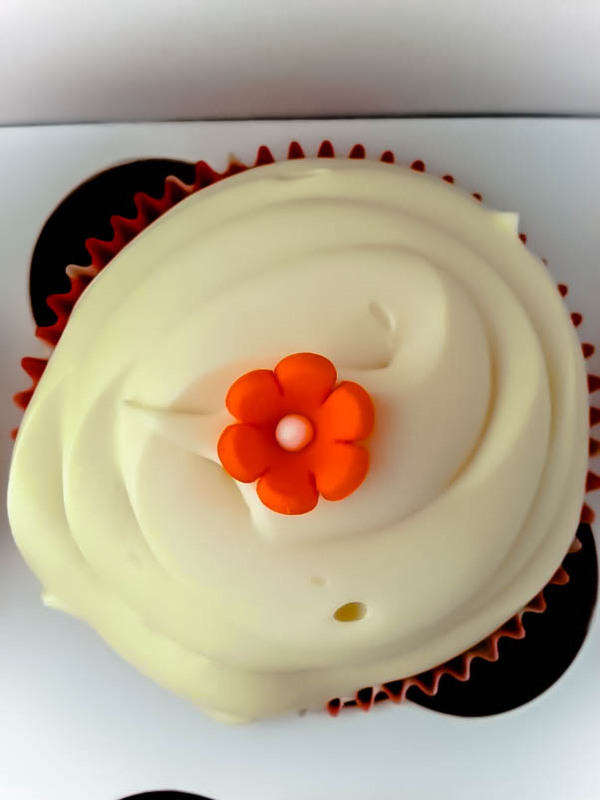 As in my previous post (“I Wish I’d Had a Cupcake in My Purse: How Do You Show Compassion?”), I believe that I could have expressed much of my sympathy with a cupcake. I also believe that I could have shown my joy for my friends’ successes with cupcakes. 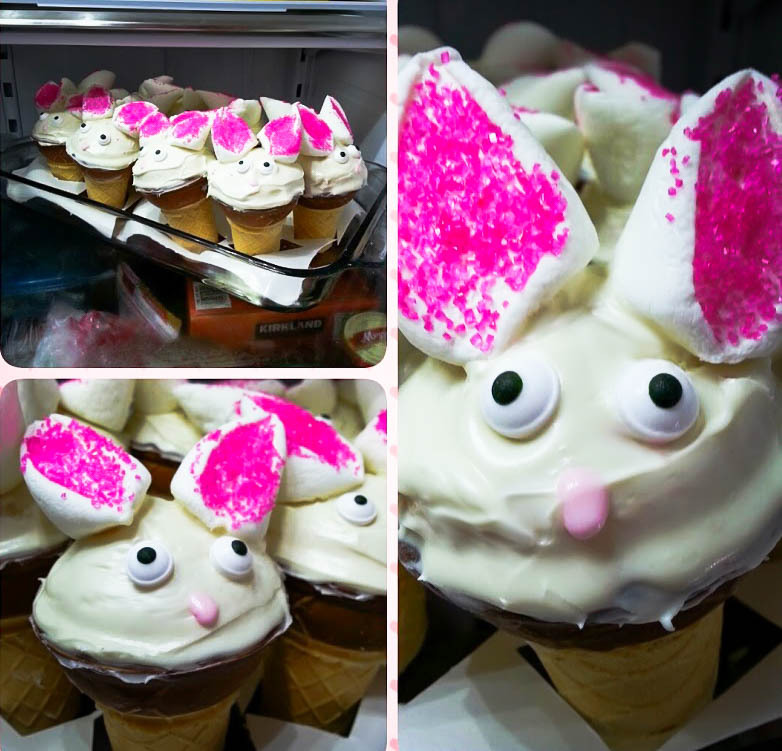 Cupcakes are just funny like that—they can express both commiseration and joy. I’m not sure if other baked goods have that unique attribute. For example, I feel like a pie is always to celebrate, a cheesecake is either something simply to complete a meal with or something that dulls the sharp edge of a broken heart, and a cookie is for a reward. Although, that last one may be because I’ve been hanging out with my dog too much . . . . 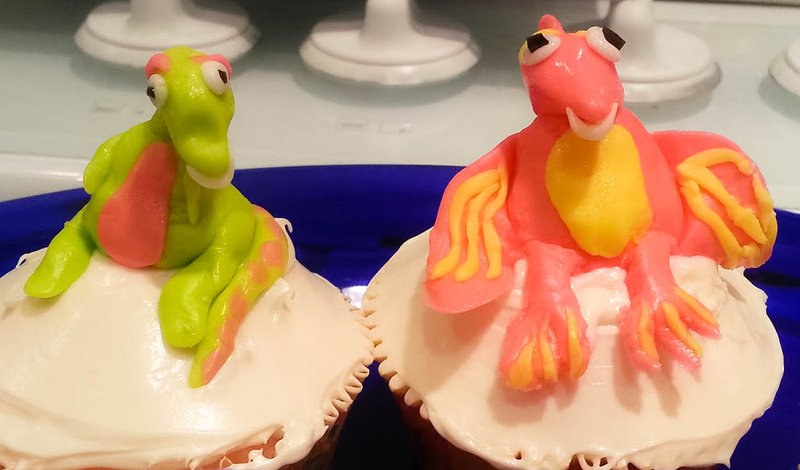 Anyway, in honor of the cupcake, here are some cupcakes that I’ve made. I’m not a professional baker (heck, I’m an English major! ), so please don’t be too harsh in your judgments. 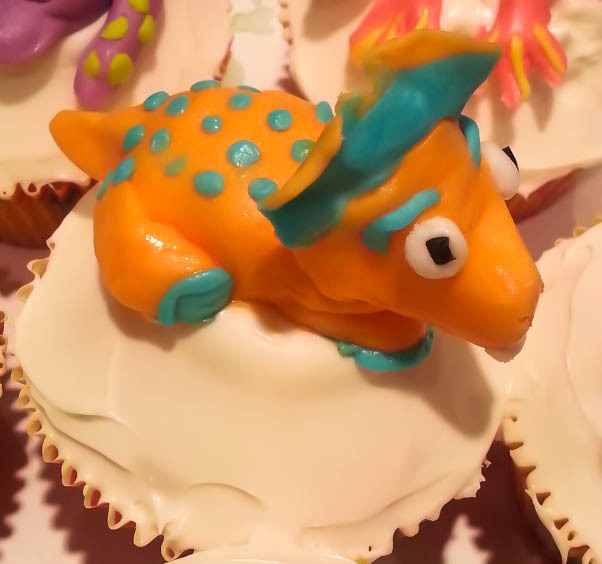 If you want to know how I made any of the cupcakes or the cute decorations, just ask in the comments section below. 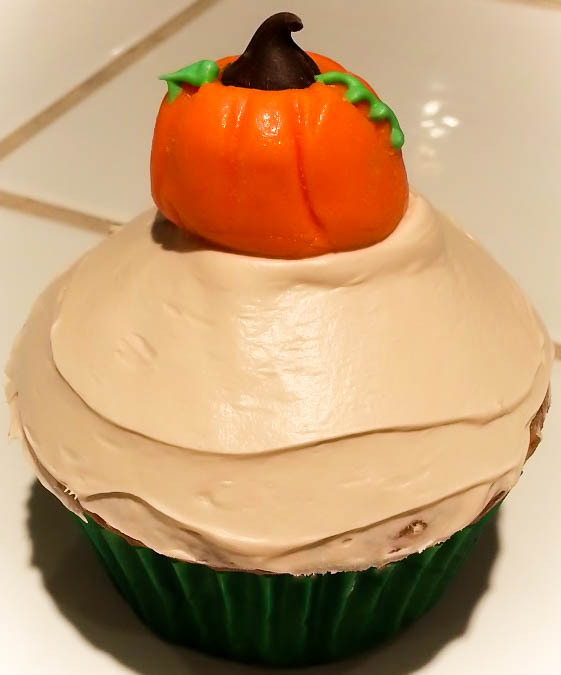 One of the best ways to celebrate fall is with a fall-inspired cupcake. 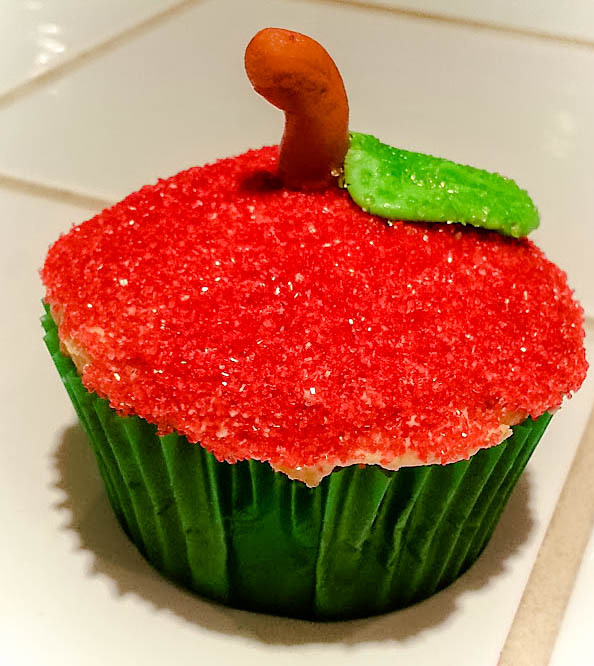 I’m not sure that the saying, “an apple a day keeps the doctor away” applies to this apple. This is how my dog looks right after the vet sticks the thermometer up her rump. Poor dog. The only downside to cupcakes with faces on them is that I feel bad for eating them. Let’s hear it for anthropomorphizing food. They’re such laid back dinosaurs. I don’t like to use black food dye, so his eyes are made out of black licorice and homemade marshmallow fondant. Maybe I watched the Land Before Time movies too many times. I love your cupcake art 🙂 Would you be able to make Up-themed cupcakes for my article to be published this Saturday? Thank you! I love making cupcakes. I can certainly try to make some. When would you need it by? Thank you for being so flexible. I’d love to make an Up cupcake for your blog. I will let you know by Friday if I am able to make it this week. Is that okay? So, I hope that it’s okay, but would it be alright to get you those cupcakes for this next Friday (July 24th)? Unfortunately, I had some things come up this week. Also, I looked on your blog, but I didn’t see a “Contact” page. Am I just missing it? Yep, I can wait, no worries 🙂 and I think I still need to put in a contact page; blogging’s gotten a bit more popular than last I checked. Lol, thank you! I love making cupcakes. I don’t know why, but they just have a hold on me. Do you make any cupcakes or baked goods? 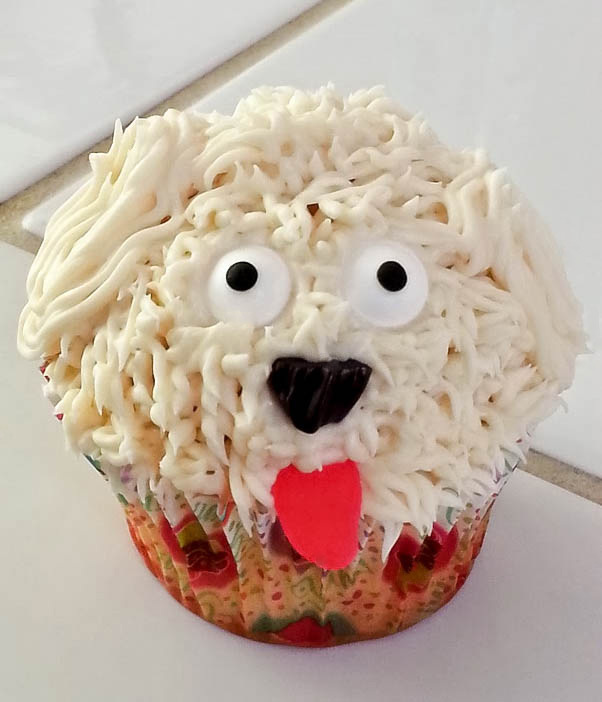 The doggie cupcake is completely edible, and it tasted good when I tried one. Okay, maybe I tried two . . . . The cupcake was vanilla cake with a vanilla cream cheese frosting. The eyes are candies I found at the store. The tongue is pink vanilla-flavored fondant, and the nose is black licorice that I cut to make a nose shape. My vet had been so good to my doggie (who is a . . . difficult patient), that I felt like she needed to be thanked with something tangible. She and the staff loved the cupcakes, particularly since they look like my dog. 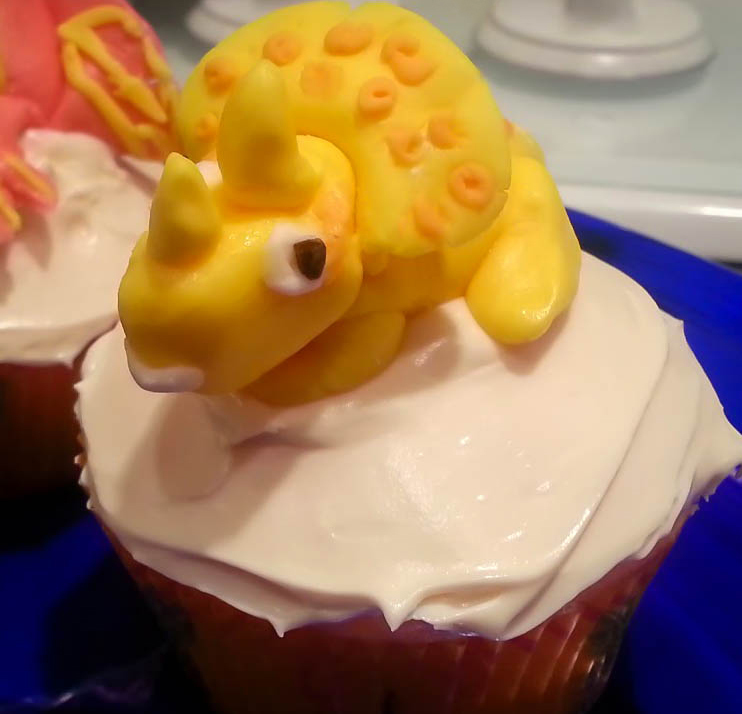 With all my cupcakes, I make sure to use all edible decorations. Heck, what’s the point of a cupcake if you can’t eat every part of it? That’s terrific that your blog is getting more and more popular! I think that the quality of your posts has certainly earned you that added popularity.